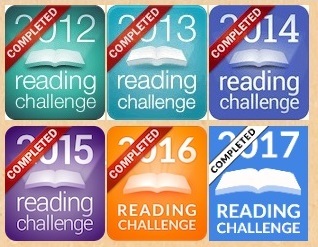 Join an Easter egg hunt of a different kind in this journey from disappointment to elation. The perfect (non-edible*) gift for any kid who’s ever felt that the Easter Bunny could have done better. *Note: this book is not made of chocolate. Sorry. With an author named Merv Lamington I don’t know how much more Australian he could be. The story is good, funny, interactive, and a decent plot. It wasn’t quite what I was expecting but it was fun. It would certainly entertain children with the humour and antics, not to mention the hunt for the Easter Bunny. The narrator addresses the reader originally, or some off page character who provides hints and clues for the search for the elusive bunny. The hunt then starts all over town looking at clues the Easter bunny has left behind, running into friends who are enjoying their chocolate eggs to varying degrees of success. I enjoyed the inception Koji creates with his book within a book, the illustrations matching their larger counterparts. The colours are vibrant and the focus is on the key characters, the background getting generic attention if any. The thick bold outlines and humorous expressions bring the story to life and give the narrative an additional layer beyond childish complaints. This is the ideal book for kids who are unable to have chocolate or who didn’t get any Easter eggs and feel hard done by. It also helps explain rules about chocolate and dogs and with a few punny jokes in there you can’t help but laugh at. 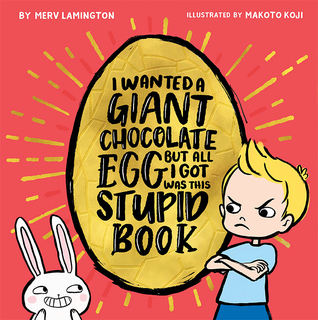 An eggsellent book for the perpetually disappointed kids of Easter – the ones who suffer carob offerings, GV, nut-free, vegan, dental-disasters, sick canines and more. Cracking good fun (sorry). My only regret is not even thinking about putting in any puns into my review.